A report conducted by the Federation for American Immigration Reform (FAIR) estimates the cost of providing government benefits to illegal immigrants costs the American taxpayer $100 to $135 billion annually. The report released in September of 2017 also estimates the number of illegal immigrants currently in the U.S. at around 12.5 million people, plus another 4.2 million children of those illegal immigrants. The Federal Government pays approximately $50 billion, while both state and local governments pay the additional $89 billion annually. Those numbers were cited during a recent Trump rally in Cleveland, Ohio by the President. “Illegal immigration costs our country more than $100 billion every single year,” he said. The President, referencing the FAIR Report on November 5th ahead of the midterm election, noted that the majority of this expense comes in the form of medical care and public schooling expenditures. FAIR also concluded that illegal immigrants generate about $19 billion in taxes each year, bringing the net cost down to $116 billion annually. While the FAIR report is one of the few studies to attempt to examine the overall financial costs of housing illegal immigrants, the actual numbers of illegal immigrants are hard to come by – no doubt because of political considerations. In 2013, a study by the Heritage Foundation estimated that illegal immigration costs the government about $54.5 billion per year, less than half of the FAIR estimate. The discrepancies lie in the actual number of Illegal immigrants in the United States. Most estimate the amount to be around 12.5 million, and that’s the number the FAIR report is based on. 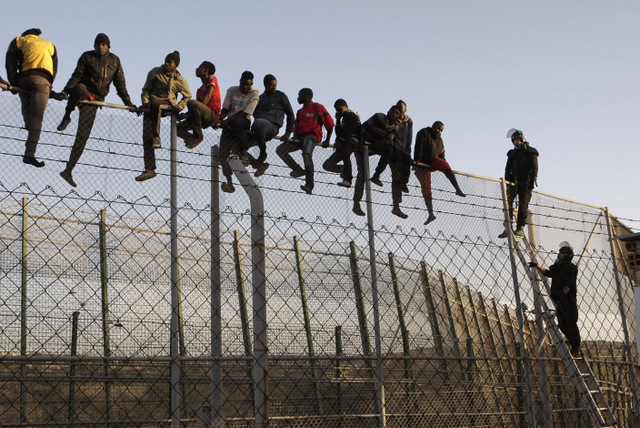 However, the Pew Research Center estimated in 2016 that there were approximately 11.3 million Illegal immigrants within the United States, while the Center for Migration Studies put the number at around 10.8 million. Another recent study, this one by Yale University, had the number of Illegal immigrants at almost double the FAIR report at well over 22 million Illegal immigrants. Remarkably, the last review by the Government Accountability Office (GAO) was released in 1995, over 21 years ago. At that time the net cost of illegal immigration ranged between $2 and $19 billion a year. The report was published at a time when the Census Bureau estimated that approximately 3.5 to 4 million illegal immigrants resided within the United States. Robert Rector was one of the senior research analysts in 2013 for the Heritage Foundation. He explained why the cost of housing illegal immigrants has skyrocketed within just the last decade.